Nexon added new dungeons and boss monsters to its online game 'MapleStory 2'. • Added 6 new dungeons including 'Madrasan Castle Wall' and 'Madrasan Steeple Tower'. • Appearing as one of the strongest bosses of 'Madria of Fury'. • Items such as hat and cape skins will be provided through the event until March 9th. The new dungeon 'Madrasan: Fortress of Anger' is a dungeon in which users collect their strengths in boss monsters appearing in a specific area. The boss monster 'Madras of Fury', considered as one of the black wizards . The most powerful boss monster with powerful powers, 'Madria of Rage', appears as a girl with a horn and a wing, and can be attacked as a strategic battle with 10 players. Madras: The Fortress of Wrath will add 6 pieces of Madrasan Castle Wall, Madrasan Sink, and Madrasan Steeple, and when completed, will have Black Lumiere, Madrasan Earrings, Shadow of the Lakan monarch and so on. Nexon will celebrate the update with the "Mad Lakan: Anger's Fortress" event by March 9th. At the completion of Epic Quest, 'Hats of Madras' and 'Wings of Madrea' wing of 'Madriah' are paid out. In addition, users who participated in the event once a day through the event page will receive a cultural gift certificate (maximum 100,000 won) through an instant lottery. 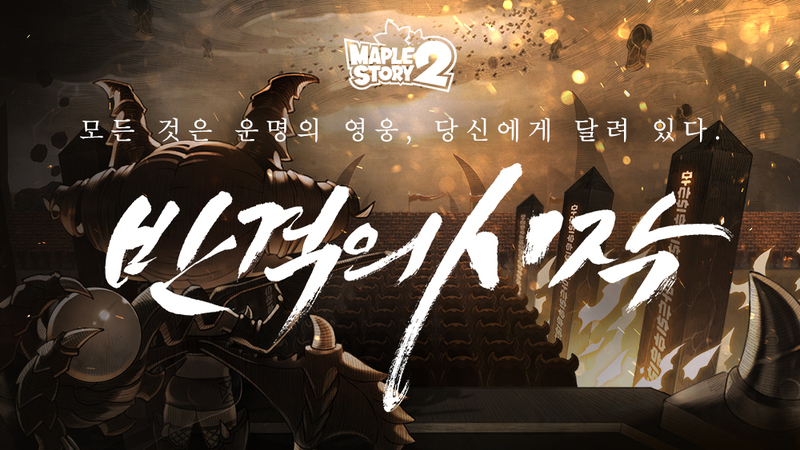 For more information on MapleStory 2 updates and events, visit maplestoryer.com.